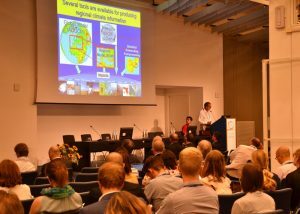 The 16th EMS Annual Meeting & 11th European Conference on Applied Climatology (ECAC) took place in Trieste, Italy, from 12–16 September 2016. 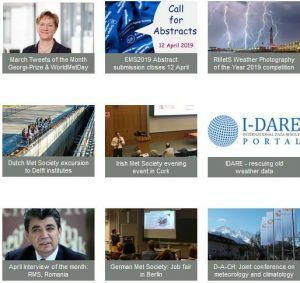 637 participants from 45 countries attended the event with the theme Where atmosphere, sea and land meet: bridging between sciences, applications and stakeholders. 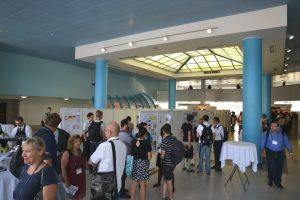 More than 400 oral and 200 poster presentations were given during these five days, including contributions by the Young Scientist Awardee, Giovanni Tumolo, and the recipient of the Tromp Award, Barbara Templ. The Media session was well attended, and the Media Awardees Stéphane Foucart, Guido Guidi and a Thomas Wostal as representative of ZAMG – Science Park gave in sight in to their respective work and approaches. The Silver Medal Lecture “Meteorology and 21st century challenges” given by the Laureate, Michel Jarraud, was another higjlight of the confernce. The ECAC Symposium “Climate Change – Adaptation and Mitigation: The Role of Climate Science and Services” discussed consequences of the COP21 Paris agreement. Abstracts, presentations and photos are available at www.ems2016.eu. During the closing reception on Friday the recipient of the Outstanding Poster Award was announce: Julie Berckmans, Alexandra-Jane Henrot, Ingrid Jacquemin, and Rafiq Hamdi were selected with their poster “Sensitivity of the regional climate model ALARO-0 to land surface changes“.